Boxray 24 - Xore. Online elemental analyzer for 24 sample streams. For many concentrator plants. The on-stream analyzer Boxray 24 consists of a carousel equipped with 24 measurement cells that enable a single analyzer to monitor multiple steps in the process, from ore to concentrate and tailings. As each stream has its own loop and measurement cell, there is no risk that samples will be contaminated by other streams, which can corrupt analysis results. Each sampling tank and measurement cell is automatically emptied and flushed clean during the time the next cells in line are being measured and analyzed. Modern x-ray detectors enable extremely precise measurements and very short sample cycles. 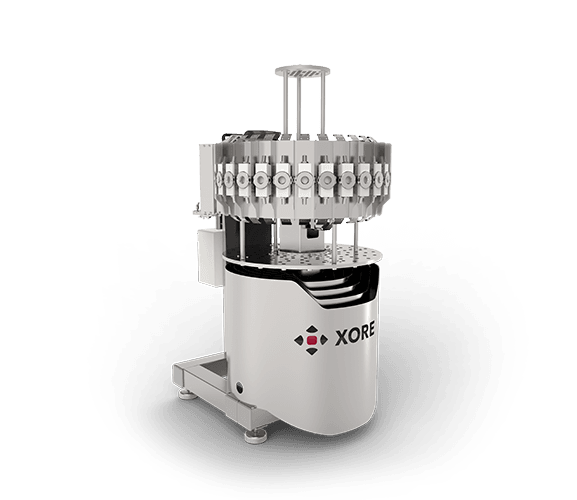 Boxray 24 works extremely effectively, handles variations in ore fast and is optimal for large concentrator plants. The Boxray 24 is also suitable for medium or smaller operations with rapid changes in for example head grade. Spotting trends early is key to successful process control, and receiving quick feedback on measures taken to adapt to these changes is equally important. The Boxray 24 has unrivaled short measurement time and in addition to this it only takes a few seconds to switch to the next sample. Process control drives productivity. Process control relies on process data. The operators manually controlling a process will make better decisions with more data at hand. Automated process control will benefit even more data at a higher pace. 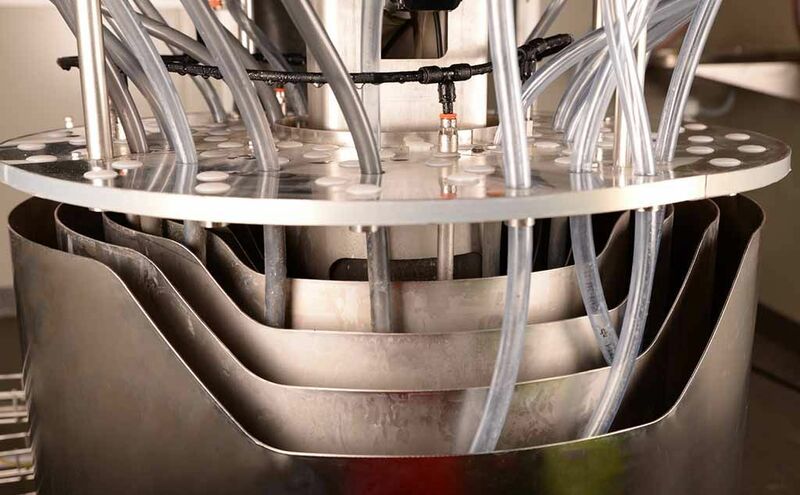 We consider Boxray 24 to be the best choice for semi- or fully automated process control. A slower analyzer may be sufficient today but investing in a Boxray 24 is a future-proof decision.